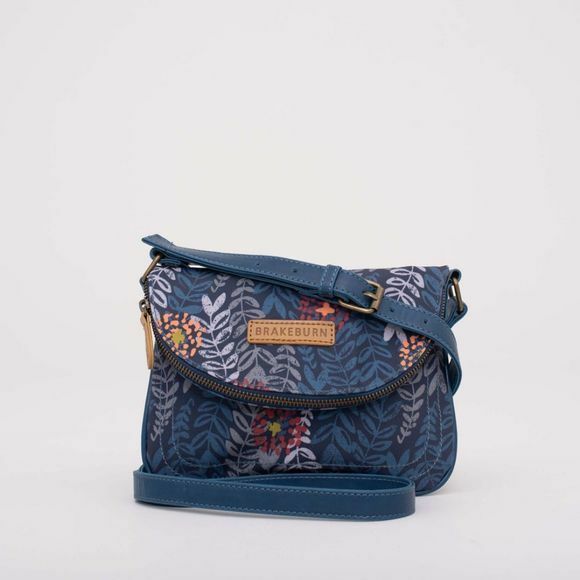 The Womens Trailing Leaf Roo Pouch from Brakeburn is perfect for day or night, with a zip opening as well as a popper closure for extra security. It's made from a printed cotton canvas that is lightly coated for durability. This seasons Trailing Leaf has layers of hand drawn leafs in subtle colours with pops of coral.